Anyone call for a web-slinger? 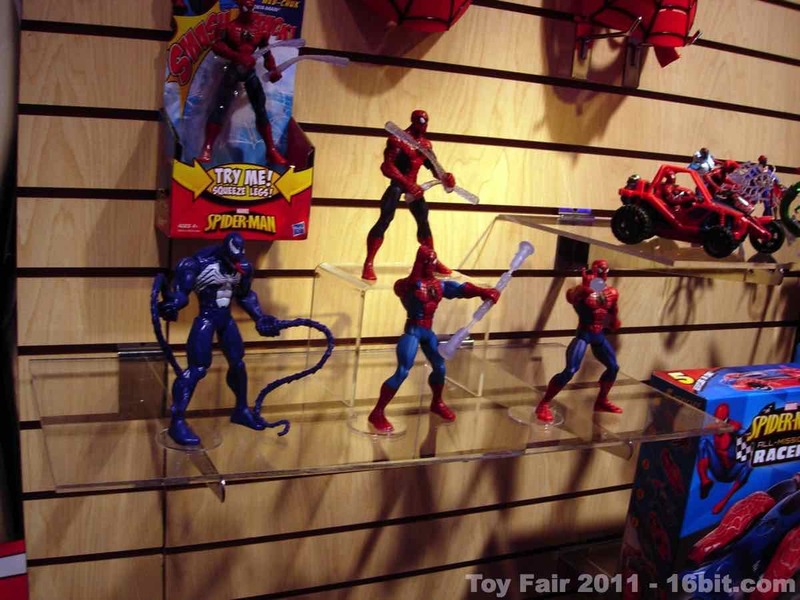 Even though the next movie won't be out until next year, Spider-Man still has a pretty good presence at Toy Fair this year. 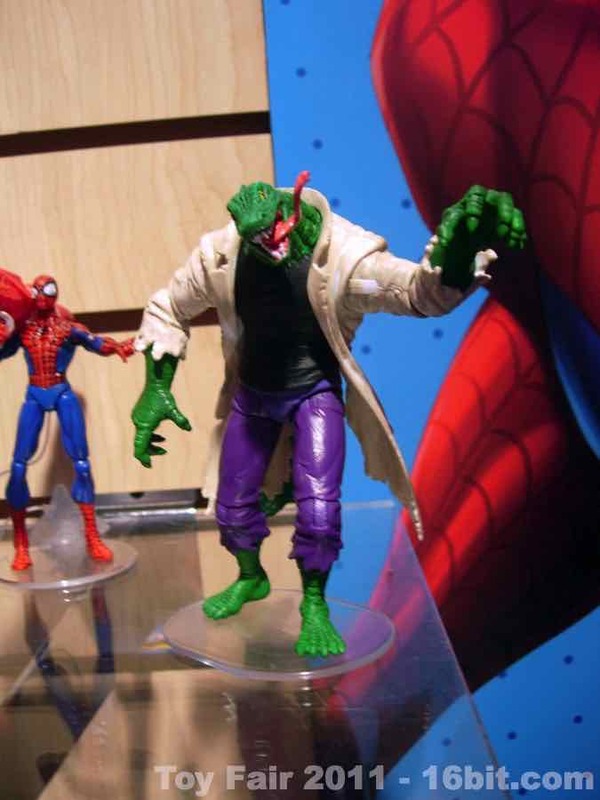 The action figure line moves along with new variations on Spidey as well as 3 3/4-inch scale versions of The Lizard and Ultimate Scorpion, both of which could be shipping any day now. 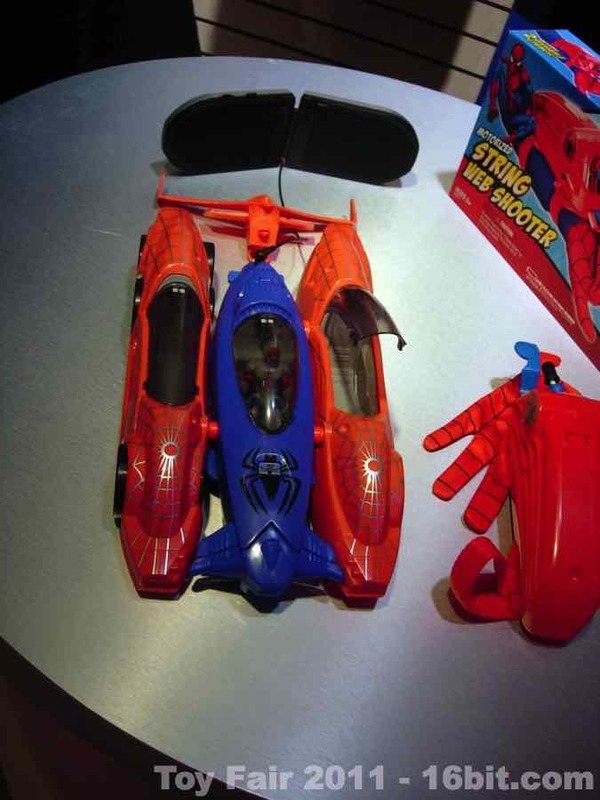 New vehicles were shown as well, but when it comes to reliving your favorite stories Spider-Man's car rarely fits into the fantasy. 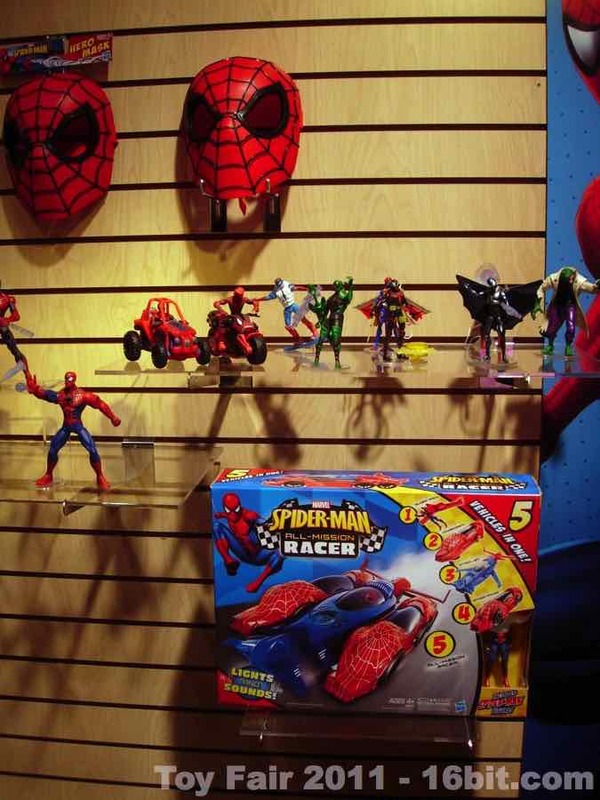 One thing highlight during the presentation was a Spider-Man Mask. Why is this interesting? 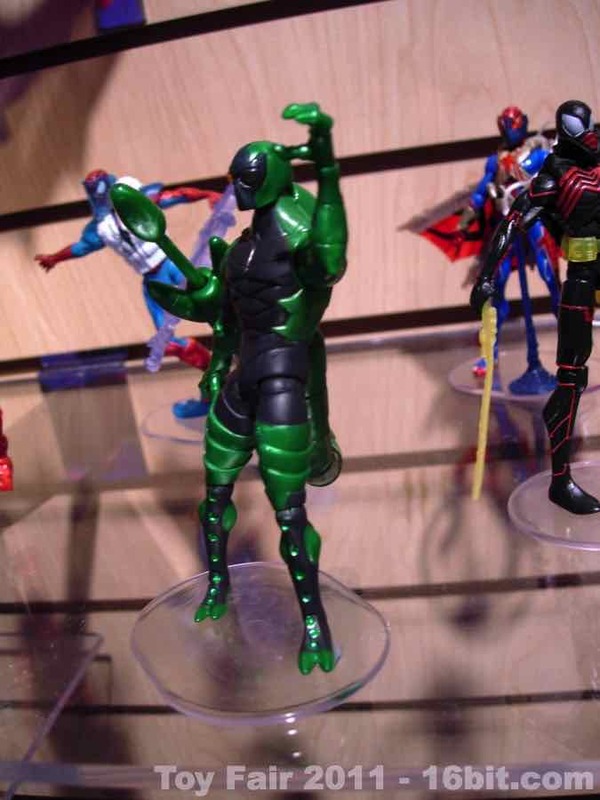 The black webbing is plastic, and not paint-- it's a dual-injection molded toy, so the deco won't scrape off. 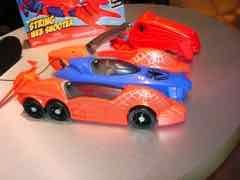 If the red or the black gets a gash, there's red or black plastic beneath it. This isn't used much in American toys, but collectors of Playmobil should recognize this process from many of the animals and all of the figure heads from that line. Next year, we've got a new movie and a new costume but for now? We've got classic. 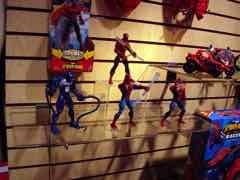 Until someone decides to make toys branded from the musical, that is.